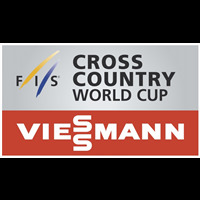 22th race of World Cup. 7th Slalom race. Start at 10:30 and 13:30 +1 UTC. 1. Dave Ryding GBR 53.42s 1986 8 2. 4. Alexander Khoroshilov RUS 54.18s +0.76 1984 4 3. 5. Leif Kristian Haugen NOR 54.23s +0.81 1987 34 4. 6. Marco Schwarz AUT 54.26s +0.84 1995 12 8. 7. Daniel Yule SUI 54.34s +0.92 1993 14 5. 9. Marcel Hirscher AUT 54.44s +1.02 1989 6 1. 10.Ramon Zenhaeusern SUI 54.95s +1.53 1992 26 12. 11.JeanBaptiste Grange FRA 55.14s +1.72 1984 17 14. 12.Marc Digruber AUT 55.15s +1.73 1988 16 17. 15.Sebastian Fosssolevaag NOR 55.40s +1.98 1991 20 12. 16.Robin Buffet FRA 55.41s +1.99 1991 31 16. 17.Jonathan Nordbotten NOR 55.46s +2.04 1989 22 9. 18.Giuliano Razzoli ITA 55.48s +2.06 1984 24 11. 20.Alexis Pinturault FRA 55.60s +2.18 1991 11 10. 22.Erik Read CAN 55.85s +2.43 1991 33 7. 26.Tommaso Sala ITA 56.02s +2.60 1995 38 15. 29.Stefan Luitz GER 56.36s +2.94 1992 41 18.